A total of 5.11 acres of land of Bangladesh University of Engineering and Technology (Buet) have been under the occupation of different quarters, including Dhaka South City Corporation (DSCC), for a long time. According to an official document, the DSCC and an individual, Mohammad Azam alias Azim, have kept 3.14 acres of Buet land under their occupation, reports UNB. This piece of land known as 'Azad Pond/Sand Field' is situated on the south side of Dhakeswari Mandir near the Buet campus. It was given to the country's highest engineering institution during the tenure of Father of the Nation Bangabandhu Sheikh Mujibur Rahman in 1974. As per the government's demand, the university deposited Tk 2,314,787.87 to the national exchequer. On March 7 last, Buet Vice-chancellor Prof Dr Saiful Islam met DSCC Mayor Sayeed Khokon and urged him to hand over the land to the Buet authority. Later, another team of Buet representatives called on Land Minister Shamsur Rahman Sherif on April 12 and informed him about the necessity of this piece of land. During the meeting, the minister assured them of extending necessary cooperation to reclaim the land from DSCC and Azim. Some 1.71 acres of land which were recovered from illegal occupation a couple of years back remained under the occupation of government employees from different ministries. This land is situated at the D Block of Azad Area on the southeast side of Azimpur Orphanage bus stand. The Public Works Division handed over the land to the Buet authorities. After the land had been grabbed for long, it was reclaimed a couple of years ago. However, some employees from different ministries are still living in the land, according to the document. 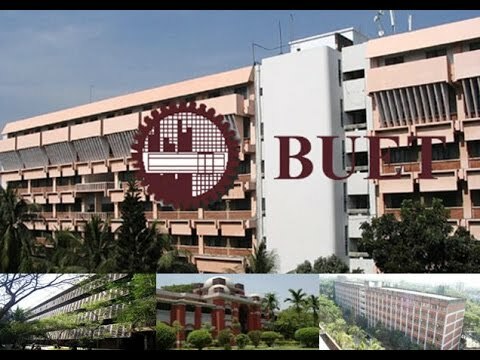 The then Buet VC on November 25, 2015 sent a letter to the Housing and Public Works Ministry requesting it to issue necessary directives for evacuating the government employees living in the land but to no avail. Besides, another 0.26-acre piece of land of the engineering institution by its female dormitory, known as 'sweeper colony, remained under the illegal occupation. The official document stated that three cases have been pending with the Appellate Division in this regard. Meanwhile, the Buet authorities have decided to approach LGRD and Cooperatives Minister Engineer Khandker Mosharraf Hossain seeking his help to reclaim the land occupied by the DSCC and Azim.